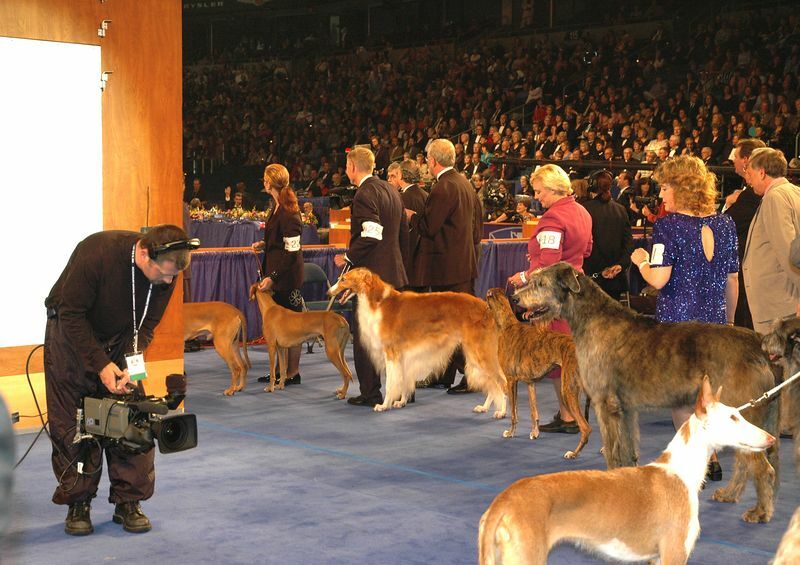 The AKC/Eukanuba Invitational show was held on January 15th and 16th, 2004. Virago won Best of Breed and is shown competing in the Hound Group with many of the nation's top Hounds. Animal Planet televised the event live, hence the very intense and golden lighting. These photos were shot in and from the staging area off-camera.